We appreciate your pursuit of excellence in orthodontic care, and hope that you will choose us to provide you with your orthodontic needs. 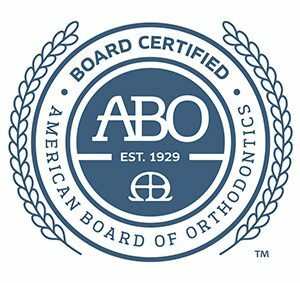 We are certain you will be pleased with your decision, as it is our mission to provide excellent orthodontic care to any member of your family (from 7-70+) in a comfortable, friendly, and caring atmosphere. We receive many compliments about the beauty of the office and how “cozy” it feels. Dr. Lori has taken a personal interest and effort in decorating the office herself to give this level of comfort. We especially recognize that every patient has different needs and desires. Therefore, all treatment plans are customized to each patient. Dr. Lori believes communication, education, and motivation of our patients assure the best orthodontic result. She encourages questions, comments and suggestions at any time. You can email Dr. Lori at drlorismith@yahoo.com. We feel it is important to provide technological advances and stay up to date in continuing education to ensure that you receive the most effective care possible. Our knowledgeable doctor and staff are committed to providing you with your individual treatment plan so that we can help you achieve the healthy, beautiful smile you deserve! The greatest compliment we can receive is your referral of friends and family to our office. This shows us the confidence you have in us. We welcome your recommendation of our office to anyone interested in orthodontics.